I am so in love with elfcosmetics.co.uk!! They issued a 50% off as soon as they hit their first 200,000 likes!! So I got £90 worth of products for like £50 + shipping. And I'm super uber pleased about it !!.. UPDATE!! It's not a dupe because it's not golden undertoned and more on the cool side. Haven't used it a lot. I love these pressed powders but Caramel was a shade darker than what I should have got, and Buff fit the deal. UPDATE!! I'm loving this a lot!! but I'm so glad I did. This is a brilliant coral pink shade. Haven't tried this yet, but I kind of thought it was prettier on online swatches and stuff..
UPDATE! I could have passed on this.. not as pretty as I thought.. This baby smells like calpol, I love it, so I got 10 of these. Yay. I wanted to try the vanilla one, for the sake of it. But I'm not too eager to try it out. To be honest, I could have lived without buying these, but I wanted to try them out and for 50% off. Why not? 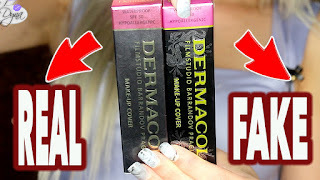 I thought these might dupe the Ardell Demi Wispies.. These are not dupes.. but they're pretty cute. I was never too keen on trying these. I heard they smell quite horrible, and they don't remove make up that well. Others say, they're quite good.We'll see. UPDATE!! I tried these for a couple of times, I don't think they're gentle on the eyes, and it leaves a weird feel on the skin, but other than that .. they're quite good. I got this to set my all over cover stick in apricot beige I like to use on my under eye area. It's slightly darker though than the concealer. UPDATE!! I think it's way too cakey for the under eye area. A back up. Love this shizzle. I already had the regular line mirror, but wanted to try this out and it looks so cute in person. I got this to try it out with my cream liner, to apply it as a base for smokey eyes, especially on my lower lid. I heard great things about these. I already tried them out. It applies my elf cream liner as a base like a dream, but with eyeshadows, I don't think it works THAT great. I prefer the eyeshadow c brush. But for loose pigments I think it might work. we'll see. It's smaller than I perceived it to be. I wanted to try this out, but I had no particular purpose for it. In person, it's different than what I perceived. It's less dense, more flimsy, and actually - less professional looking than any other studio brush from elf. I tried it to set my under eye area and it worked "ok". I got this for storage purposes, because it is more useful than a brush roll. It looks really professional and cute. Another back up. I hit pan on my first, and I got a second because I'm scared I'll run out sometime soon. I already finished a whole tube of this, I will be opening a second soon, and now I have two back ups. Love this to set my brows. and thanks for your support guys! I love the makeup mist and set! What a great haul and deal! That andgled contour brush is actually one of my staples - I use it every day for brow-bone highlighting and blending it in the crease to the main color on the lid.